This 9ct white gold diamond eternity ring features 1/3 carat of brilliant cut diamonds set between claws, making for a stunning anniversary gift. 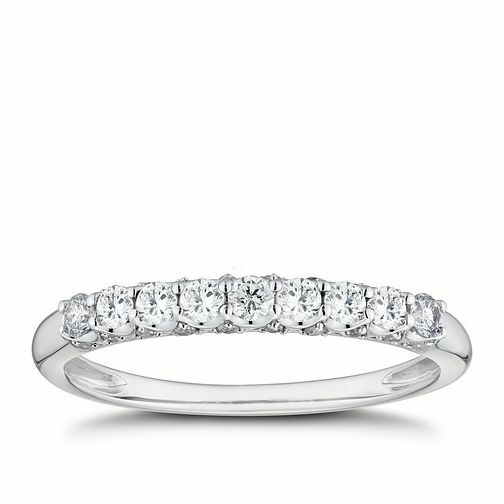 9ct White Gold 1/3ct Diamond Eternity Ring is rated 4.3 out of 5 by 19. Rated 4 out of 5 by Anonymous from Eternity ring Disappointed that I there was nothing certification on the diamond . The ring is lovely.